Russia paid hundreds of millions of Tsarist-era debts but it’s not enough. Why? A century ago the Soviet government refused to pay Tsarist-era debts as well as money owed by the Provisional Government, which ran the country for a short time after the Tsar abdicated. Many years later, post-Soviet Russia settled hundreds of millions of dollars worth of the debts, but still many people are frustrated and demand the repayment of fortunes. Will Moscow pay? When in early February 1918, the Bolsheviks declared that they did not recognize the Romanovs’ debts, it “shocked international finance and sparked off unanimous condemnation by the governments of the great powers.” Overall debts of 60 billion rubles⃰ were repudiated, 16 billion⃰ (the link is in Russian) of which were foreign loans. 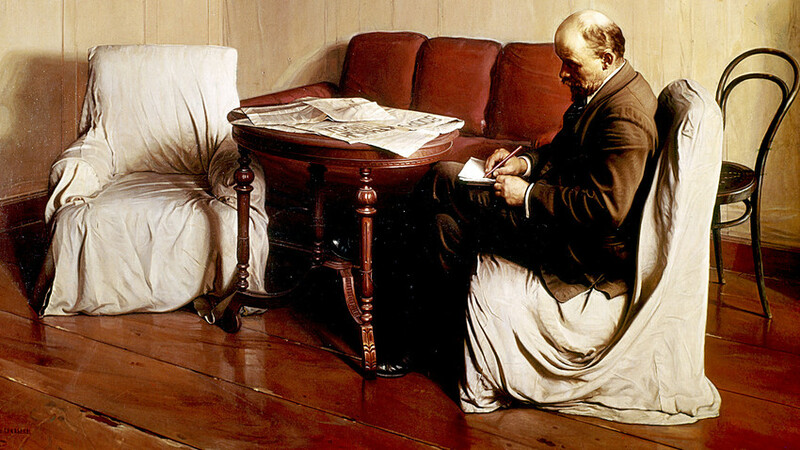 Lenin’s decision symbolized a rupture with Imperial Russia, and at a practical level reducing the cost of servicing debt that burdened the new government as the civil war unfolded. Eighteen months later Lenin said that Moscow would consider returning the debts (in Russian) if the Entente countries stopped supporting anti-Bolshevik forces and put an end to their direct military intervention in Russia. The support and intervention stopped, but not because the great powers bent to Lenin’s demands. The Bolsheviks simply got the upper hand in the civil war and the issue of debts owed the main creditors – France and Britain – loomed over the country for decades afterwards. 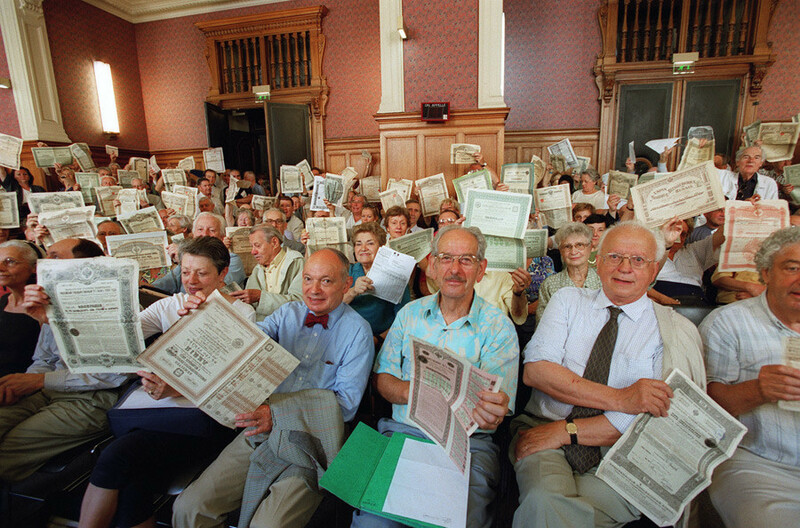 Between 1880 and 1917, French citizens bought a total of 30 million rubles in Russian bonds and their owners today believe that by now they would be worth around 30 billion euros. It is a belief that is not shared by officials in either Paris or Moscow, and France has never officially raised the issue of Russian imperial debt. Maybe, as media noted it was due to the fact that in the aftermath of the Russian Revolution Paris confiscated assets that belonged to the imperial government. It also got Russian gold from Berlin amounting to 120 million gold rubles⃰. Berlin received the gold from Lenin’s government in 1918 as part of the Brest-Litovsk peace accord with Germany. It never made it back to Russia. The French took the gold, but never compensated the holders of Russian bonds. The Russian government stepped in to repay these debts, even though it was not legally obliged to do so. It was a gesture of goodwill in order to secure Russia’s entrance to the Paris Club, the international body for creditor countries to negotiate with debtors when repayment difficulties arise. In the mid 1990s, Moscow signed an agreement with France over the Romanovs’ debts. By 2000 it had paid Paris 330 million euros. Russia managed to decrease the initial sum by 2.5 times (in Russian) and make the French government responsible for payments to the French imperial bonds holders. Since then, Moscow has repeatedly asserted that the issue is now closed and there are no grounds to discuss any new payments. Still, around 400,000 people in France are seeking billions of euros from Russia with no chance of ever getting the money. During WWI alone the UK loaned Russia a total of 5.5 billion gold rubles⃰. Overall debts were even bigger. As a repayment guarantee Petrograd sent London Russian gold worth 600 million rubles⃰ (in Russian). However, even retaining the gold, London lost more on Lenin’s decision than it got in terms of imperial precious metal. Yet, despite this discrepancy, in 1986 Moscow managed to reach an agreement to write-off the debts. 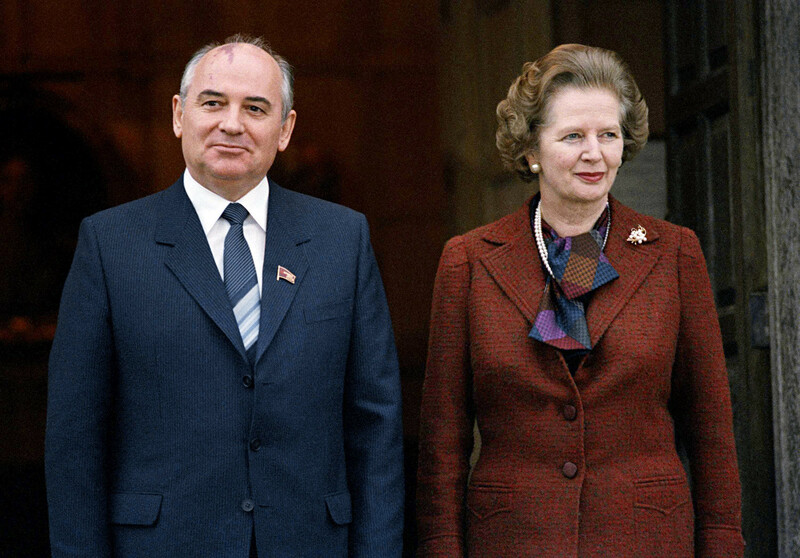 Gorbachev and Thatcher refused reciprocal claims. Those Russian funds that had been in British banks since the Revolution were ring-fenced for 10 pence on the pound of the nominal value of Imperial Russian bonds. Stockholm was also one of Russia’s creditors. Shortly before the Revolution Sweden agreed to give a loan on 30 million crowns (approximately 10 million gold rubles). As security for the loan, Russia sent to Stockholm gold worth 5 million rubles⃰, but the Swedes did not give all the money due to the turbulent events in Petrograd. In the early 1930s, Sweden returned roughly one third of the sum. After this, the issue was considered closed by the two parties. ⃰1 gold imperial ruble approximately equals 20 USD. Read here how Russia freed itself from massive Soviet debts.